Comptroller Scott Stringer and the trustees of the New York City Employees’ Retirement System (NYCERS), one of the city’s five pension funds, voted unanimously to pass a resolution on Thursday to explore how divestment from private prisons would affect the fund’s investment portfolio. The decision came three weeks after an announcement by the federal government that it would phase out its dependence on private prisons to house a decreasing number of federal inmates. A Department of Justice report, which formed the basis of that announcement, cited dangerous conditions at private prisons, increased costs, and inefficiency. Soon after, Gotham Gazette reported on the city pension funds’ holdings in private prison companies and that the DOJ announcement gave a boost to some who have called for divestment from private prisons for years. The comptroller, who is on the board of trustees of four of the five city pension funds, said he will introduce similar resolutions to the three other boards he sits on in the coming weeks and will encourage the last remaining fund to follow suit. 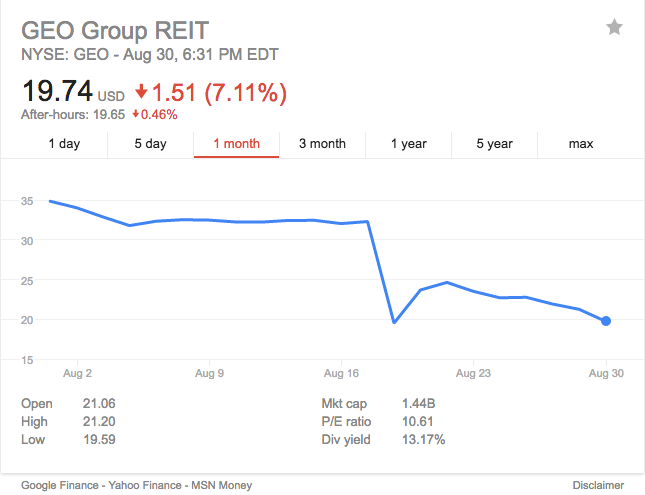 All the pension funds together are worth about $160 billion, and their total investment in the two private prison firms, the GEO Group and the Corrections Corporation of America, is about $20 million. Within an hour of the the federal announcement, the value of GEO and CCA stocks nosedived, dropping about 40 percent by the end of the day, which meant that the the fund likely lost $8 million in value. Since then, GEO stocks have recovered by about 10.4 percent while CCA’s value fell another 11.4 percent. Individual stocks are part of larger holdings, which makes divesting a more complicated process than it might otherwise be. 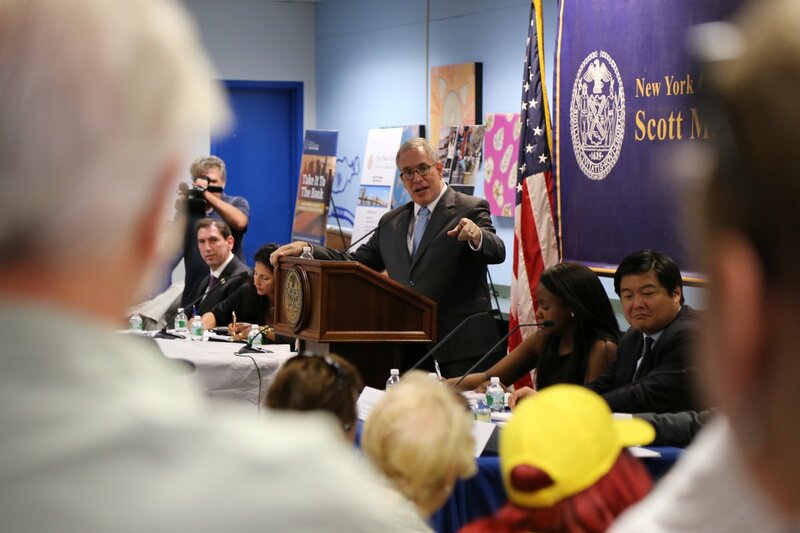 “As trustees, we have a fiduciary responsibility to ensure that we are acting in the best interests of our members while investing in ways that are consistent with our values as New Yorkers,” said Comptroller Stringer in a statement on Thursday. “We believe the time has come to study whether our holdings in private prisons meet both our fiduciary standard as well as our standard to invest responsibly. My fellow trustees and I will carefully review these findings and take action accordingly.” Besides Stringer, a number of elected officials sit on the board of trustees, including the public advocate and the five borough presidents. While the announcement doesn’t state with certainty that the fund will divest, it’s more than likely given the decreased profitability of the investment and the growing resentment for an industry that many believe values profit over human lives. While the resolution appears to be a direct response to the federal government’s announcement, pressure had been building on the comptroller and the pension funds for some time. Activists have been calling for divestment from private prison holdings and appealing to Stringer to use the leverage at his disposal, as he has successfully done to encourage values-based investment and decision-making by companies, including an effort to diversify corporate boardrooms. On August 31, Gotham Gazette reported on the push by activists for divestment from private prisons, which was bolstered by the federal decision. One activist, perhaps the most pleased to hear Thursday’s news, is Randy Credico, a comedian, regular political candidate, and WBAI radio host. Credico has been a thorn in Stringer’s side for well over a year, targeting him directly, at times personally, to push the divestment issue. 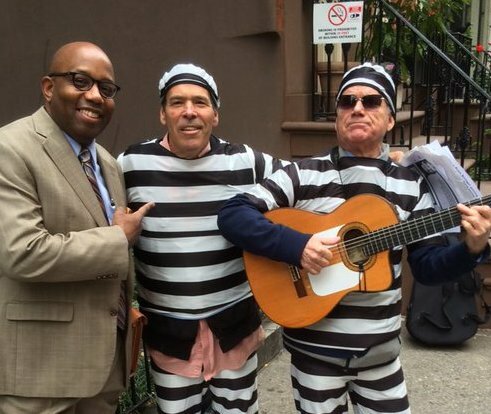 Credico, who has been a decades-long activist fighting against war and for criminal justice reform, and his allies have promoted online petitions and held protests outside Stringer’s office dressed in inmate clothing. Although Stringer is the financial advisor to the five pension funds, he does not have final say over investments.